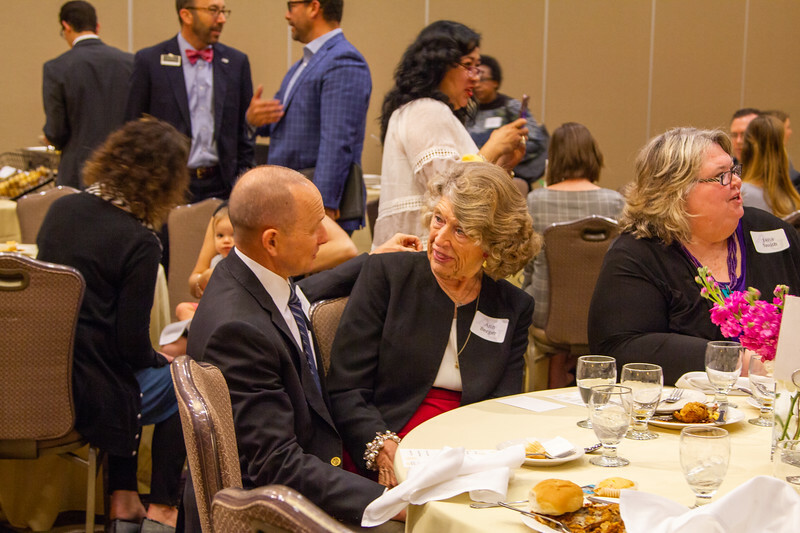 On Tuesday, March 26th, many gathered at the annual Ruth Allen Griggs Honor Luncheon, founded by Jack Griggs and Ann Griggs Berger in honor of their mother, Ruth Allen Griggs. They wanted a way to commemorate the spirit of generosity that Ruth Allen Griggs had in abundance and did so by creating an opportunity for student scholarship recipients and donors to interact. Around the room, stories about times at ACU were shared as well as stories about opportunities that demonstrate the importance and impact of giving back. 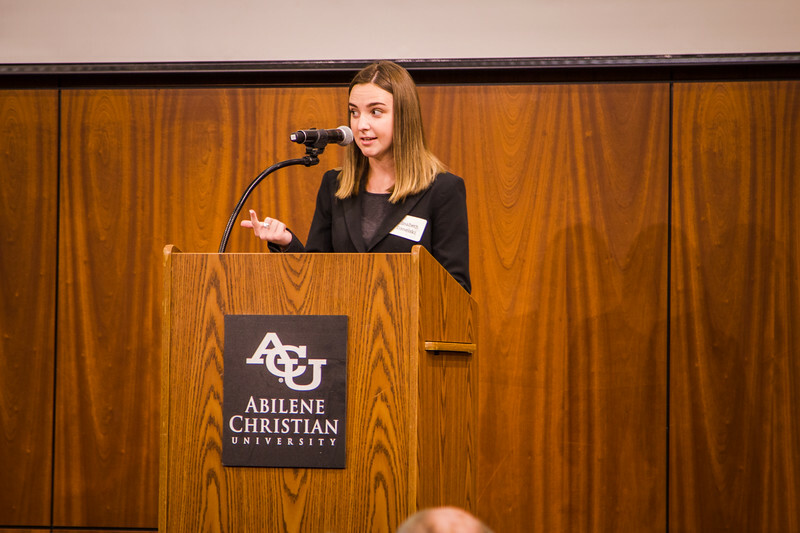 Two students were invited to speak about how the scholarships they received allowed them to experience a wide and unique variety of opportunities during their time at ACU. 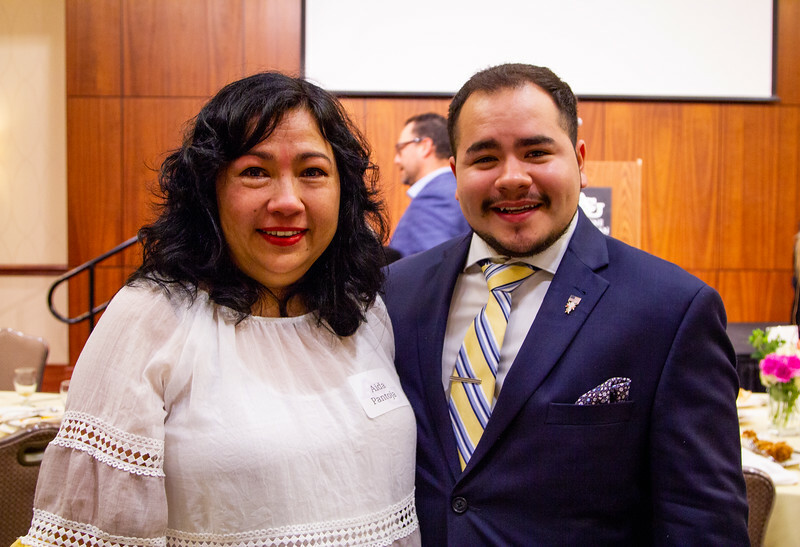 Kevin Pantoja, a senior finance and accounting major and first-generation college student from Roscoe, TX, spoke about the ways he has been able to live out Proverbs 27:17. “My time in the College of Business has allowed me the opportunity to grow not only as a man but as a man of God,” said Kevin. 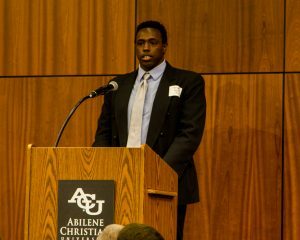 “Because of the interactions with my fellow students or with the amazing faculty and staff that we are blessed with, I can honestly say that I would not be standing here if it was not for the generosity of those in the room.” While at ACU, Kevin has studied abroad in Germany, attended Leadership Summit, been involved on campus, and most importantly has intentionally strived to build up the communities around him as others have built him up. 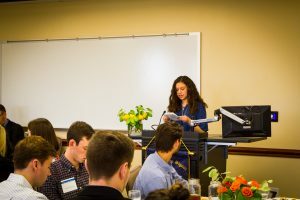 Elisabeth Danelski, a senior accounting major from Burleson, TX, also shared her story at the luncheon. 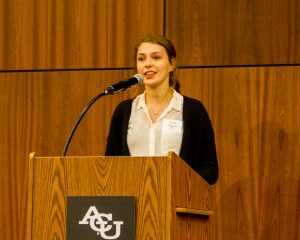 Elisabeth spoke of goals and plans, but mostly the opportunities she has been able to have at ACU that were not in her plan. 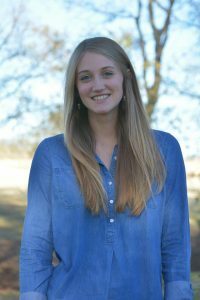 Studying abroad twice, serving on short term mission trips, attending conferences, and immersing herself in many other experiences unique to ACU was not in her plan but was made possible through Elisabeth’s hard work and the generosity of others. “In my time here, I have learned a lot of things,” Elisabeth explained. “I have broadened my horizons, I’ve cultivated a wider worldview, I’ve shared my story and had the pleasure of hearing so many others. But the one thing I will cherish the most is learning that the incredible experiences I had that weren’t in or didn’t go according to ‘my plan’ happened because it was never supposed to be my plan in the first place.” Elisabeth looks forward to making it a priority to pay the opportunities she has had forward once she graduates and urged her peers to do the same. David Shewmaker (’92), a member of the Dean’s Council, also spoke at the luncheon. He reflected on times at ACU and shared his heart for the students and the community they experience here. All of the speakers were inspiring and reminded all attending of the value and importance of generosity. Dean Brad Crisp said “the Ruth Allen Griggs luncheon was once again a highlight of the year. Kevin and Elisabeth did an impressive job of sharing their stories as first-generation college students and expressing their gratitude to our donors. I am grateful we have the opportunity to bring our students and donors together for an event like this.” We were proud to be able to host this luncheon, honor Ruth Ann Griggs, and to once again see the effect that a spirit of generosity can have on generations. The 2019 Leadership Summit group. 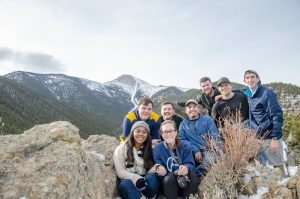 In January, over seventy students traveled to the top of a mountain in Colorado and spent a week learning about leadership from thirteen speaker sessions and a team of faculty and staff from ACU. Through the dynamic speakers, practical application of what is taught, and spiritual insight, students are equipped for leadership in the family, in their community, in the church, and in the marketplace. This short course is one of the most transformational experiential learning opportunities COBA offers and is always a favorite for students that attend. Wendy Davidson and Elise Mitchell speak to students. 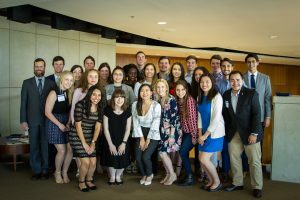 A unique aspect of Leadership Summit is an opportunity for students to hear from CEO’s, inspiring speakers, and ACU faculty and staff and get to know these individuals on a personal level. 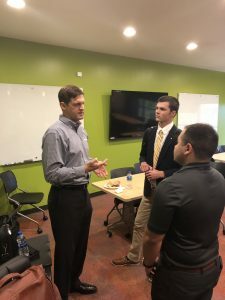 “One of the speakers shared a really impactful story about facing significant troubles in the workplace as a direct result of sharing his faith,” said Lincoln Jones, a senior accounting and IS major. “His testimony encouraged me to not fear the backlash from bringing faith into the workplace.” Some of the speakers from this year include Brad Gautney, founder and president of Global Health Innovations, Rick Atchley, preaching minister at The Hills, Wendy Davidson, president of U.S. Specialty Channels Kellogg Company, Tim Goeglein, senior advisor to the president and vice president for External Relations at Focus on the Family and deputy director of the White House Office of Public Liaison from 2001-2008 for President George W. Bush, Carlos Sepulveda, chairman of Triumph Bancorp, Inc. and former president and CEO of Interstate Batteries, Mike Willoughby, CEO of PFSweb, Inc., Elise Mitchell, founder and chair of Mitchell Communications and CEO of Dentsu Aegis PR Network, and Pete and Austin Ochs, founder/chairman and CEO, respectively, of Capital III. Students have the chance to ask speakers questions at the end of each session. In addition to lecture sessions, students are able to spend time talking with speakers one-on-one and share meals with them. Some of the speakers serve as mentors for a ‘River Crossing’ project, a project that challenges students to make a plan to use their given leadership positions to make a difference in the world. Taylor Gould, a junior marketing major, said that her favorite part of the experience “was simply being in Colorado and feeling connected with my professors, classmates, and the speakers. It was amazing to be able to experience all of it with people who you would never meet otherwise and people you see every day. The lessons from the week were very applicable and made me feel so inspired.” A community connection is at the core of Leadership Summit and happens at many different levels between every person – speaker or student – in attendance. 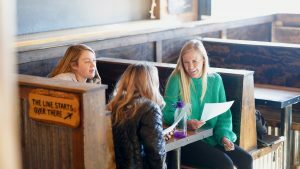 While the week offers many moments for educational, spiritual, and community-centric transformation, the location also allows students to have a lot of fun. 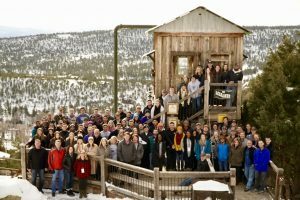 The class is currently held at Frontier Ranch, a YoungLife camp outside of Buena Vista, Colorado and YoungLife staff serve the Summit attendees throughout the week. Students can hike up to the crosses at the top of a mountain peak, swing off the side of a mountain on the Screamer, play archery tag, and spend time building community and fellowship in the game room. These experiences give students the chance to spend time with each other and grow in deeper connection (and also face their fears, especially if they have a fear of heights). Students spend time in community with each other throughout the week. Every year, students return to Abilene refreshed and challenged to make a difference in their communities and this year was no different. Mariel Delgado, a senior architecture and interior design major, shared that Summit “is not like any other business class you will ever take and the lessons you learn and friendships you make are unlike any other. Hearing everyone’s life stories from such a raw perspective but also just the fact that so many people took the time to come speak to us and pour into our lives for that week.” We look forward to watching how Mariel and all of the other students take what they have learned from the mountaintop and incorporate it into their lives to bring about change that lasts. In the coming weeks, we will be sharing photos from the trip on our Facebook page as well as some of the speaker sessions for you to revisit and enjoy on our YouTube channel. Keep an eye out for these posts and future ones concerning the incredible and unique opportunity that is Leadership Summit. Students hike up to the crosses at the edge of one of the ridges of Mt. Princeton. Students speak with Jeff Campbell of Southwest Airlines. You may have heard it said before, but ACU’s College of Business Administration is not your typical business and technology school. Our mission is to educate business and technology students for Christian service and leadership throughout the world. We do this by providing exceptional academics, fostering spiritual growth, and providing students with unique opportunities to interact with professionals during their time here. We work hard to give students exposure to a variety of different businesses that lead to internships and entry0lvel career opportunities. David Mitchell from Faithlife Corporation speaks to a class. Employees from USAA speak with students at a networking luncheon. 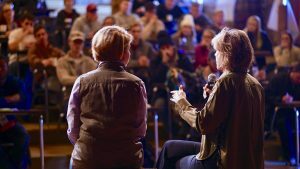 Attending events like these has a wide variety of benefits for students. The most obvious benefit is the potential of internships and jobs that influence careers. These opportunities allow ACU students to get a foot in the door with companies that have competitive hiring. Another benefit is developing the discipline and networking skills necessary in the professional world. Students can practice professional development by not only signing up for the events, where they will network and learn about the professional world, but by being committed, disciplined, and following through by showing up to that event. They can also practice conversation skills and make meaningful contacts with companies. 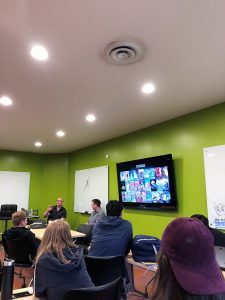 Employees from Brazen Animation speak in a class. In order to take advantage of these incredible opportunities and events, we advise that students take the time to read their newsletter. Once a week, COBA & SITC send out a newsletter through email that contains everything the student needs to know – special announcements, event promotions, chapel information, giveaways, and more – for the following week. In less than a minute, students can scroll through and see what is going on in the college and sign up for anything they might be interested in. We also promote events on our blog and social media, and monitoring those also helps students to take advantage of special opportunities in our college. As a student at ACU’s College of Business Administration, we hope you will take advantage of the many professional development resources that are available to you. Be sure to read your newsletter and follow us on social media to stay up to date with the latest in COBA. 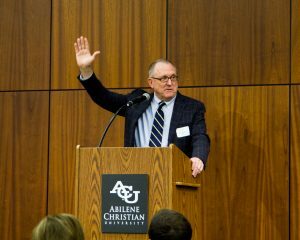 Last week, COBA partnered with the Lytle Center for Faith and Leadership to host our annual Distinguished Speaker Series. We were honored to have Horst Schulze as our guest this year. Schulze was born in a small German village and knew he wanted to work in hotels at age 11. He left home at 14 to be a busboy and the rest, as they say, is history. Schulze spent nine years with Hyatt Hotels Corporation before becoming a founding member and president of The Ritz-Carlton Hotel Company. After resigning from The Ritz-Carlton, Schulze is now the chairman and CEO of Capella Hotel Group, an ultra-luxury hotel chain. 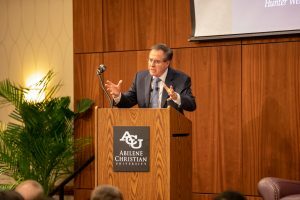 Schulze spent his time in Abilene connecting with students, faculty and staff, and community and university leaders conversing about exceptional customer service and what it means to be a leader striving for excellence. He shared stories from his years in the hotel industry and the absolute importance of having a vision and a purpose. Schulze advised that the steps to success are vision, commitment, and initiation. You must have a dream, a vision, to guide what you do and define what you are working toward. The dream becomes more than just a dream when you commit to it and decide to carry it out. Carrying it out entails taking the first step, initiating, and persevering to make the dream and vision a reality. Especially as a leader, the vision is very important and gives meaning and information to everything you do. According to Schulze, being a leader implies that you have something in your mind that you are bringing people to. People respond not to rules and orders, but to objectives and motives. Schulze shared that he thought it was immoral to hire people to fulfill functions; you hire people to join the vision and become a part of the dream. Schulze also spoke about a seeming contradiction: what it means to be the best in the world but to live a life as Christian where we are called to not be of the world. In scripture, we are consistently reminded that our citizenship is in heaven, how we should not conform to the world, and how it is likely that the world will hate us because we are not of it. This leaves many questioning how can we be in the world, but not of the world. 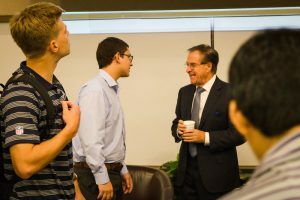 Schulze shared how he struggled with working in the luxury hotel business and wanting to create the very best hotel in the world, but not being sure how that connected with his calling as a Christian. He then realized that this was an opportunity to be an example and show the kingdom to the world. It all connects back to Schulze’s personal vision for his life: to be excellent in every role he fills. Excellence in how he treats and grows his employees, excellence in serving customers and shareholders, excellence in every aspect of his hotels points back to Christ. Creating the best hotel in the world sets his hotels apart and creates an example for others. Schulze believes that if we are not living with a mission to be excellent and not using our God-given gifts and abilities, then we are not fully living in every way we can for Christ. Being an example of excellence while living for Christ allows others to see Him through you and points people back to Him. Scripture also reminds us that being holy implies being different and unique. By being excellent, you are set apart like we are called to be. It was our pleasure to have hosted Horst Schulze this year. To view pictures from the DSS luncheon, click here. 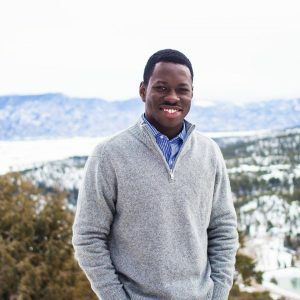 Meet Jonathan Rugamba, one of our newest COBA alumni. Jonathan graduated on Saturday, May 12th, with a double major in accounting and finance. 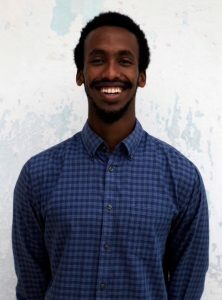 After graduation, he will be returning to his hometown of Kigali, Rwanda. His goal is to build up an equity firm within the next 10 years through which he can channel as many job opportunities as possible for the people of Rwanda. 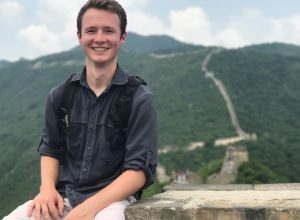 When asked how the education and experiences at ACU and in COBA have helped him ​prepare for ​life ​after graduation, Jonathan stated, “Future is always the future, we can only guess at what it truly holds. We may feel prepared but we can’t certainly be sure. However, I have really gained a lot of knowledge, and that is the best preparation in my opinion. Knowledge never expires but grows.” One of Rugamba’s favorite experiences while in COBA was his time in STAR (the Student Trading and Research class) because it most mimicked the reality of the business world. Graduation is only a few days away and it’s the time of year we sadly say goodbye to our graduating seniors. 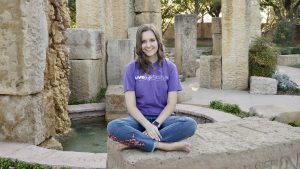 We are proud of our students and we’d like to introduce you to a few of them on this blog, letting you know how their time at ACU has molded them, where they are headed after graduation, and what advice they have for the new freshmen class coming in the fall. After graduation, I will be moving back to Dallas and hoping to work in the corporate event industry. For the last year, I have been working with University Events here at ACU and it has only made me more excited to pursue events full time. So, getting to actually do events all the time and working in that position is making me excited for graduation. Plus, no event is the same so I will not have to worry about doing the same thing every day. My favorite ACU memory was probably when I studied abroad two summers ago. The experience was unlike any other and I not only learned about all of the other cultures but also about myself. My favorite class was Leadership Summit because I got credit for taking a class in the mountains of Colorado, but the takeaway was much more than just the credit hours. So many people poured into us during that week with life lessons, truth and God’s word that nothing can compare to it. My advice would be to be as involved as you can within your department, no matter what it may be. Get to know not only your classmates but also your professors because they truly care about you and your life. Start it early on, so that you get the full experience all four years. After graduation, I am going to Regent University of Law in Virginia Beach, Virginia. I am excited to be done with my undergrad and be able to travel home and see my family in Thailand. Steven (tan jacket in the middle) and friends hiking over Spring Break. My favorite memory at ACU is climbing different buildings, having game nights, and biking around Abilene. My favorite class was Literature for Young Adults because reading stories from this class connects me to my past and helps me find my identity. but never lose the ability to see the silver-lining in life. Life is too short and too hard to not be happy. After graduation, I plan to work at PwC in Dallas as an Audit Associate. I’m most excited to go out and use the skills and knowledge I’ve learned throughout college to bless others. I’m not sure what that will look like, but I know that God has big plans- I’m just glad to be a part of them! My favorite ACU memory…. hmmm. There’s not a certain memory that sticks out to me, rather my favorite thing about ACU is the people. Finding and creating friendships with diverse people who have the same aim, to love the Lord by loving others, has been instrumental in making me who I am. My advice to incoming freshmen is don’t be afraid to step outside of your comfort zone. You’ll regret the opportunities you didn’t take and the friends you didn’t make. Keep your relationship with the Lord your main priority and join a church and Bible study right away! Regardless of what happens in your next four years, know that God so loved you that he sent his son to die for you as an atonement for your sins, so that through GRACE you are saved, not by your own works. Give all the glory to God! the summer. Then, I begin getting ready for my full time job with Weaver & Tidwell LLP in Dallas. I am excited about graduation and grateful that all of my family is in one place for the first time in two years. My favorite ACU memory is…truly, any time I got to spend time with the people at this school was inspiring. Some of my best moments may include late night strolls around campus and potential trespassing with life-long friends, friendships which began here. My favorite classes were Social Entrepreneurship with Laura Philips and Leadership Summit with the Lytle Center for Faith and Leadership. They are both up there in the extraordinary classes category. 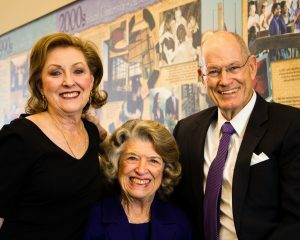 They both live up to ACU’s commitment of creating leaders for Christian service around the world. My advice for the fishy is to seek to genuinely serve others because big changes start with the little acts of service. 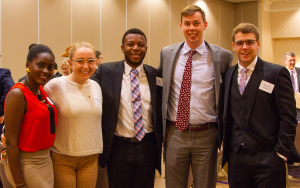 Each year, COBA inducts new members into the ACU Chapter of Beta Gamma Sigma, the international honor society serving business programs accredited by AACSB International (the Association to Advance Collegiate Schools of Business). Membership in BGS is the highest recognition a business student can receive in an AACSB accredited business program and a student must be in the top 10% in order to be asked to join the organization. Last month, at a luncheon in their honor, COBA welcomed 34 new members to the chapter. Current BGS officers and faculty encouraged the new members to continue to learn and lead with integrity, honor, and commitment to excellence and asked them to be active participating members in the ACU Chapter, helping to further advance the mission of the College of Business Administration. Membership in Beta Gamma Sigma provides many benefits, including educational and professional opportunities to support members on campus and throughout their professional lives. Click here to learn more about Beta Gamma Sigma. Congratulations to our newest BGS members! 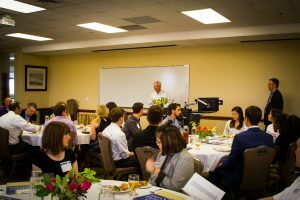 COBA donors, scholarship recipients, Dean’s Council, and faculty and staff gathered on Thursday, March 22nd, at the annual Ruth Allen Griggs Scholarship Luncheon. The luncheon, inspired by the memory of the hospitable Ruth Allen Griggs, seeks to honor the spirit of generosity and to encourage others to give back. 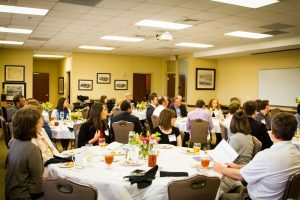 Each table was buzzing with discussion as students, donors, and faculty members conversed about their experiences at ACU and why giving is so important. Students Anna Hornell, junior management major from Fort Worth, TX, and Darius Bell, senior computer science major from Frisco, TX, represented students who have received COBA scholarships, speaking to the audience about what receiving those scholarships has meant to them and the impact that it has had on their education and experiences at ACU. The Lytle Center for Faith and Leadership Development is an emerging organization within COBA. 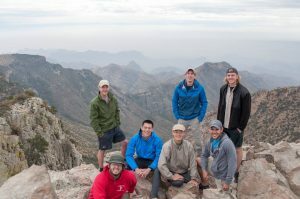 The mission of the Lytle Center is to challenge individuals to wholeheartedly follow Christ, equipping them to be leaders of integrity at home, work and in their community. 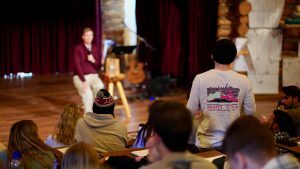 The Lytle Center holds weekly chapel for students, with guest speakers from a variety of backgrounds who come speak to students about the ways in which they enact their faith in their leadership roles and how students can do the same. This semester, Lytle Center Chapel has had the pleasure of welcoming guests like Anthony Williams, the mayor of Abilene, who encouraged students to have the courage to get out of their comfort zones and face the issues before them in order to lead well. Students have enjoyed learning from community leaders and being able to participate in the founding and forming of the Lytle Center. 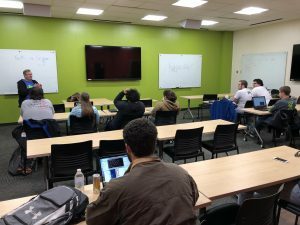 A student-run Advisory Board meets once a month to talk about the progress of the Lytle Center, to brainstorm new ideas, and to strategize how goals for the Center can be reached. We think that the student involvement is key; their help in structuring the center is essential to establishing the value and utility students will receive by involvement. The Lytle Center wants students of all majors – not just business – to become involved. A significant part of the foundation and forming of the Lytle Center has focused on how leadership extends beyond the business world. The Lytle Center believes that all students, regardless of major or career path, need to have the tools to lead in an effective, Christ-like manner. We look forward to seeing increased participation with students all over ACU’s campus. The Lytle Center has become the point organization for many of COBA’s pre-existing leadership programs, uniting them under one body. 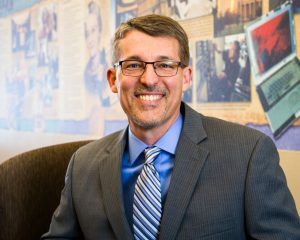 Now in its 20th year, Leadership Summit is being planned within the Lytle Center, with guests like 2014 Time Person of the Year, Kent Brantley and President of Kellogg U.S. Specialty Channels, Wendy Davidson, scheduled to speak at the January short-course held in Colorado. 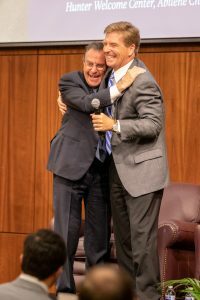 Additionally, the Lytle Center is home to the Distinguished Speaker Series, which brings in Fortune 500 executives from around the country to speak to students about Christian business leadership perspectives they have learned through trial and error in their own careers. 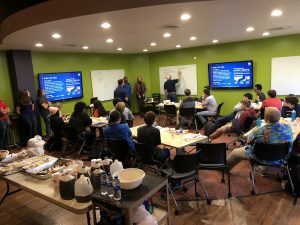 The Lytle Center is working to form small groups for students who are interested in being mentored by older peers and ACU faculty and staff. The center is also working with churches around the city of Abilene to get students more involved in college ministries. The Lytle Center is in the early stages of exploring and planning a week-long service project for Spring Break to South Texas to help relief efforts for the victims of Hurricane Harvey. The service trip will be open for all students to participate. Casey McMullin is a senior financial management major from Colorado Springs, Colorado. 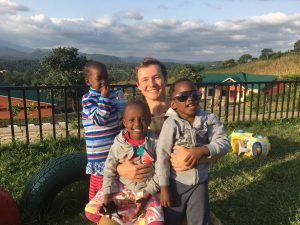 This summer, Casey traveled around the world interning and studying abroad. He visited countries in Africa and Asia. Casey returned to Abilene with a changed perspective, new skills, and many stories. Q: Where did you go and what did you do in Africa? A: I went to Arusha, Tanzania. It was two hours from Mt. Kilimanjaro, which was amazing to see every morning when we woke up. We were based at Neema Village, where they house 40 babies and at-risk or abandoned children. I helped start a microfinance program so that local mothers can start businesses for additional income. 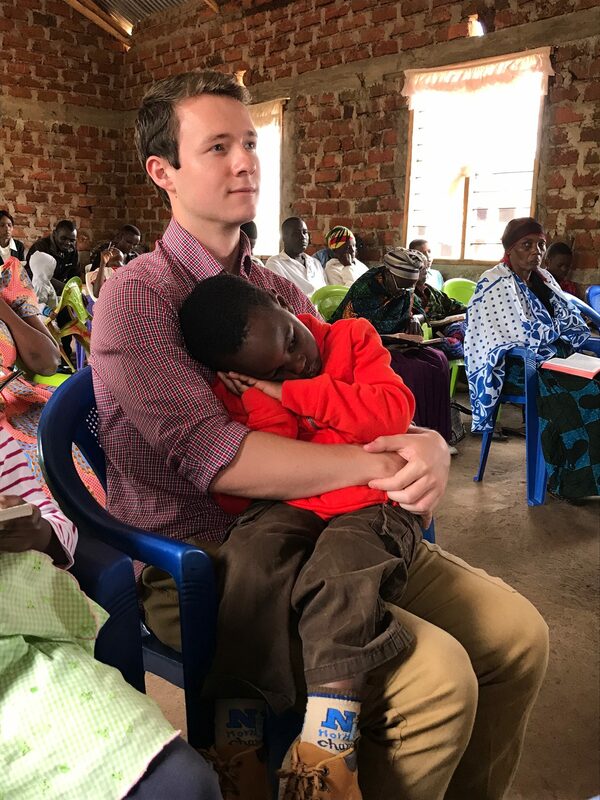 Casey with a child in Tanzania. Q: Did working with microfinance in Tanzania change your perspective on business? 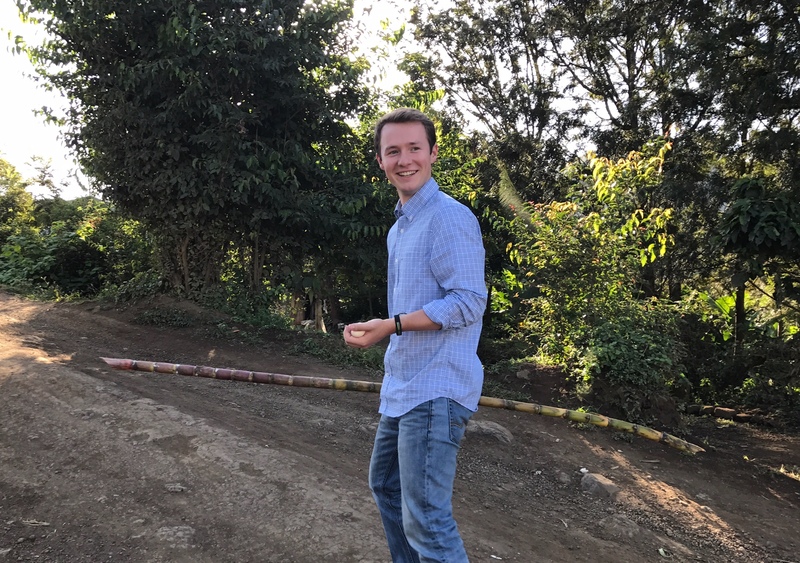 A: I think that the most challenging part was the difference between Tanzanian and American business and legal environments. 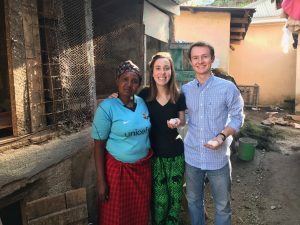 When we were building the microfinance program, we had to do everything in accordance with American not-for-profit laws and Tanzanian laws so that they could get loans. A better understanding of business law would have helped. The nature of business was very different in Tanzania. It was very simple. I had to go back to the foundations and teach the locals so that they could understand what we were doing. At the same time, I had to maintain the financial complexities I had learned so as to ensure that the program would function properly and long past our departure. Q: What was the most impactful interaction you had with a local? A: I think that the coolest thing that happened to me happened at the very end of our time in Africa. We only did one test run of a business since it took a long time to set up. We were working with a woman who started a chicken business. We helped her get funding for a bigger coop, food, and medicine for the chickens. On our last day, we were saying goodbye and hugging her. She gave us eggs and then ran to chop down her whole sugar cane. We told her not to, but she cut it down regardless and gave it to us as a thank you. Casey and Lexi Koon, junior, with the woman who started a chicken business. Casey with the sugar cane that the woman gave in gratitude. Q: Where did you go and what did you do in China? Casey sitting on the Great Wall of China. the different opportunities to and ways of starting a company in China, visited start-ups, and talked with a number of entrepreneurs, both natives, and expatriates. Q: What was different about studying business in another country? A: One thing that struck me was the sheer size of China. The massive populations changed the way they did business in ways I didn’t think about. It was also interesting to see similar priorities between us as well as what each country values more. For example, the Chinese emphasize education starting at a young age and it was interesting to see how that affected business and the way people were. Q: Did you have a big culture shock moment? 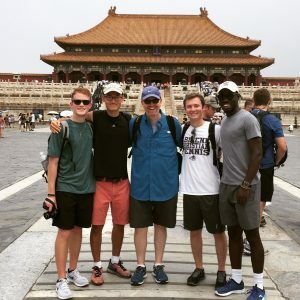 Nicholas Weirzbach, Steven Yang, Dr. Andrew Little, Casey, and Jack Oduro smile in front of the Forbidden City. Q: Compared to interning, how was study abroad different when it came to cultural immersion? A: In Africa, I felt like I needed to immerse myself a lot more. I think that this was because I was there to help other people rather than studying for my own benefit. Being there for others drove me to learn the language and immerse myself more since I was not there for myself. Q: Overall, what was your biggest takeaway from this summer? A: Take any risk. This summer, I saw just how much people live with nothing. I think that the fear of losing something can hold people back, but that is a mindset that you just can’t live with. You should be doing what you love. Look for an outcome rather than a consequence.